Recently, I have definitely been missing my best friend. 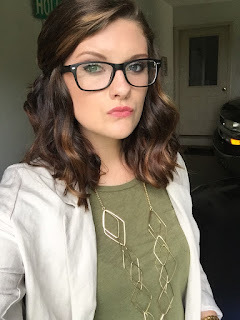 If you are new to The Mod Prep, or don't read enough to keep up with me yet... her name is Madison! We met on a charter bus during the "preparation" week before the first week of freshman year, and she is honestly the bestfriend that I could ask for. Madison transferred home to complete her second year of college, and with great excitement... SHE'S COMING BACK TO AUGUSTA! I can't really celebrate too much, becuase three weeks after she comes back, I'm moving to Statesboro. However, I live in Augusta, and it's only a hop, skip and a jump to come home, so we'll get to see each other much more often. Not only is Madison coming back to Augusta, but she's bringing someone who is also very special to me... her little sister Margaux! I met Margaux officially when Madison's mom and Grandmother came to visit one weekend, and we hit it off ever since. Madison and her entire family are truly some of the most genuine people that I've ever met. So, it's great to see them returning to Augusta! In honor of the Bowie's coming back to school... I want to do a back to school style post. Are we ready? Let's go! I will be adding a few of my favorite products for Back to School Style, with clickable links, for you to be able to purchase and admire these products, just like I have. 1. Final Destination: What many people fail to realize about back to school clothes is that this isn't the end of your closet. There will always be more pieces for you to buy, and you will always need new ones. So if you set aside a budget for a back to school wardrobe, don't feel tempted to spend all of it. Only buy pieces that you can't live without at first, then the ones that were on the bench in your brain, you can get when they go on sale, or wait till you have a little more to allot in your budget. 2. What To Carry: Every year as a child, I had to get a new backpack. Not only because I wanted to explore and see the different options, but I would somehow ruin my backpack from the previous year. Now that I am in college, I see the value of a great backpack, which is why an investment in one is great for college students. Getting a backpack that is stylish, comfortable and durable is truly something that all college students need. This year, I plan on buying a North Face backpack, so that when I am walking through campus, my items are safe and secure, while still being stylish. After college, I may invest in a designer backpack to carry my things to and from work, and even when I am just going to get a coffee, you really can't go wrong with a great backpack! 3. Get to Grooming: Let's be honest, we are all adults. By the time you turn 20 years old, you should have a stable grooming routine that is affordable and personalized. Your hair, skin, fragrance and body care should be all your own. No one knows you like you do, so you should know how you want to look. If you are going to college out of town, find a good barber that can cut you once a week, or however you like to be cut. Get a cosmetic bag to hold your items for easy transport, so whether at the gym, movies or even the pool, you have easy access to always look your best. I hope these products have you as fired up about back to school as I am, stay tuned for more posts where I delve deeper into being the most prepared student holistically!